This fully analogue chorus/vibrato was designed in collaboration with Lovetone's Dan Coggins. ThorpyFX enters the analogue modulation realm with a brand-new chorus/vibrato design, the DEEP OGGIN. Engineered to provide inspiring and incredible chorus soundscapes for every guitarist. 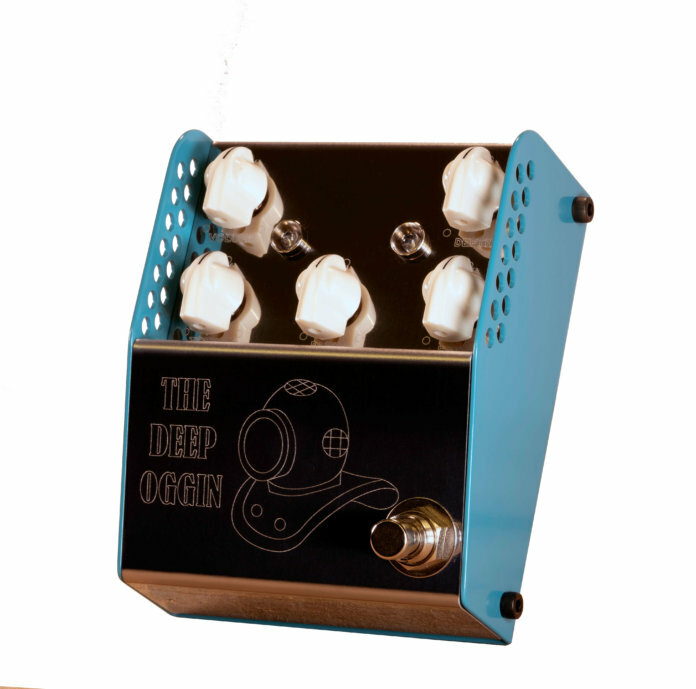 The DEEP OGGIN was designed as a collaboration with Dan Coggins as his first modulation pedal design since his time as a Lovetone pedal designer. This fully analogue chorus/vibrato was designed from the ground up to provide the most incredible three-dimensional chorus sounds with a level of versatility to meet the needs of all guitarists. Faced with hundreds of digital choruses on the market, Thorpy decided to go analogue to deliver that vintage chorus that can only come from an analogue circuit. The DEEP OGGIN is voiced to provide a variety of chorus styles from deep and wet through to more subtle and shimmery sounds. With controls for depth, rate, blend, volume and treble this pedal keeps it simple but is deceptively feature packed. Stereo pedal enthusiasts will be pleased to know that the DEEP OGGIN has both dry and wet outputs. This pedal allows you to deliver an almost unlimited tonal palette, no matter your mood/style or guitar and amp setup. Retails for £249.99. More information at thorpyfx.com.